I’ve never been a big fan of lounge-type music. I guess there is a certain hipster quality to it, but I’ve never quite been able to shake the stigma of my youth which classified it as “old people music.” Of course, I realize now it never was really meant for old people and has been pretty cool for quite some time, but it’s not a genre of music I’m going to drive around in my truck listening to on a daily basis. Without a doubt, though, one of my favorite Christmas albums of all time is Harry Connick, Jr.’s When My Heart Finds Christmas. Yes, I know Christmas came and went last week. The reason I’m writing about this album now is because of its closing track, a beautiful rendition of Frank Loesser’s “What Are You Doing New Year’s Eve?”. Unlike most things I post here, I have no particular reason for featuring this song other than I just like it. Plus, tomorrow is New Year’s Eve. That’s about it. Sometimes you just need a good song. 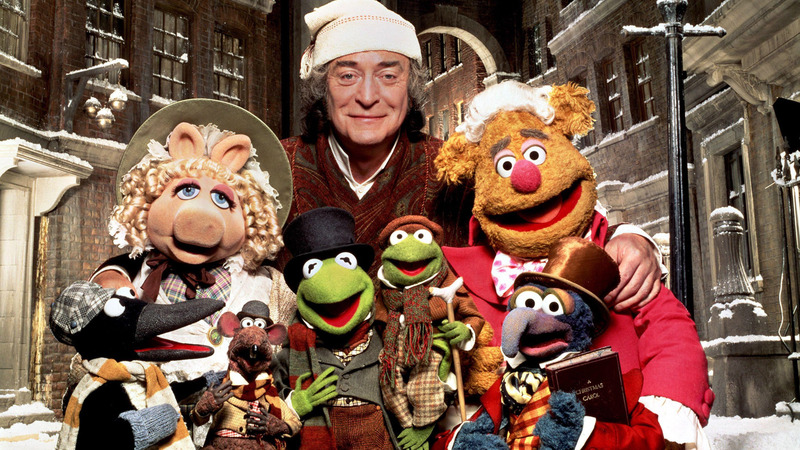 One of our Christmas traditions as a family each year is to watch The Muppet Christmas Carol. I am not ashamed to say this tradition is not because of my children, but because of me. For a movie populated for the most part by felt-covered marionette/puppet hybrids, it stays remarkably true to the source material, which is, of course, Charles Dickens’ A Christmas Carol. I’ve actually read the book more than once, and I would highly recommend it to anyone. Most of the appeal of the tale of Ebeneezer Scrooge lies in his redemption, and rightly so. The idea of there being hope for even the worst of souls is one everyone would like to believe. What often strikes me about Scrooge’s story, though, is how many things he loses that he can’t get back. His childhood. Scores of opportunity to help the poor in past years. His business partner, Jacob Marley. Scrooge’s future may look bright, but his past is littered with loss. Of course, Scrooge’s greatest loss is that of his one true love, Belle. Most movie adaptations of A Christmas Carol do not include what may possibly be Scrooge’s most humiliating moment in the book, when the Ghost of Christmas Past shows him a glimpse of the then-married Belle’s family on Christmas Eve. It’s that terrible moment when a person realizes everything they should have and could have said that would have made things turn out differently, but they have no power to change any of it. By the end of the story, there’s no great reconciliation between Scrooge and Belle. What’s lost is simply lost. It’s Christmas Eve here in America, and we just finished our annual Muppet viewing for this year. I’m thinking of all the times I didn’t speak up when I could have, all the opportunities I let slip past me, the words I needed to hear that were never spoken to me. Even in what might be the most poignant redemption story of all time, there were no second chances to say what needed to be said or do what needed to done. Just like Scrooge, we can walk through the memories of the past, but we can’t touch them, speak to them, or alter them. If there is someone in your life this Christmas that needs to know you love them, tell them right now. If there is someone you need to walk away from, walk away right now. If someone needs a sign that your care about them, show them right now. If you’re thinking of getting someone a gift, buy it right now. If there is something wrong, make it right. Once the chance is gone, it might be gone forever. Since tomorrow is Christmas, I don’t plan on writing anything here. From my family to yours, have a Merry Christmas. God bless you all. I have a difficult time letting my children watch Peanuts cartoons. “What?” you might be asking. “What kind of problem could you possible have Snoopy and the gang?” Well, it’s quite simple, really: The other kids treat Charlie Brown like crap most of the time, and I don’t really want my kids thinking it’s okay to talk to other people that way. There was this one time, though, when all the other kids came together and were actually nice to Charlie Brown. It happened one Christmas. You know the one. 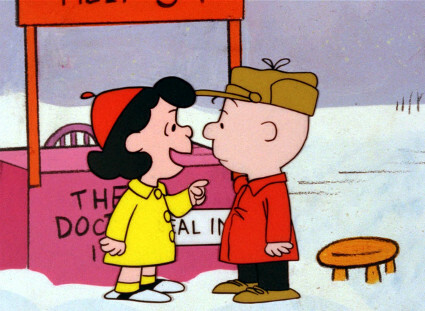 Charlie Brown was in charge of buying a tree for the school’s Christmas program, and he came back with a glorified twig. 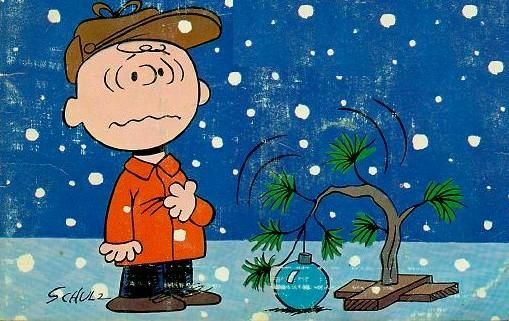 After a stern lecture from Linus, the gang decides to give Charlie Brown’s tree a makeover, and Christmas cheer is felt by all. That seems to be the theme for most Christmas stories: Somebody gets heckled or cheated or messed around with, but by the end of the story everything comes together for them (See: Bob Cratchit.) In real life, though, the downtrodden don’t always get the breaks in the end. For someone suffering from depression, it’s very easy to look around a room and think everyone has it more together than you do. Better jobs, better relationships, better social skills, etc., etc. It can make a person want to find the nearest hole and hide in it. If you’re thinking that just because your Christmas is rushed and hectic and not going according to plan, however, it should be pointed out that the “first Christmas” wasn’t exactly the most organized event either. Think about it for a minute. A baby was born in a stable. People are taking off to other countries because of dreams. Everyone is crowding into town for a census. There’s chaos happening everywhere. And then there are the people. You have a carpenter who just found out his fiance is pregnant, and the only explanation he has is “It’s God’s son.” You have a young bride-to-be who would have been dumped, save for another dream intervention by an angel of the Lord. The first group of people called upon to visit the Christ child was not teachers or scribes, but sheep-herders called in from the fields. Really, couldn’t God have picked a little better cast for this? Depressed people have a tendency to think of Christmas as a time when everyone has it better than them. They have difficulty going to parties or attending family gatherings or even facing the holiday because they feel sort of ashamed of where they are in life. They should be happy. It’s “the most wonderful time of the year,” right? When they don’t feel joy during a season which is specifically set up to provide it, they get a double-dose of guilt. In reality, though, Christmas is practically tailor-made for the losers in life. Jesus, the whole reason for the holiday, was born in a stinky barn. Then he ended his life on a cruel Roman cross. He understands what it’s like to be on the low end of the totem pole. He understands what it’s like to be an outcast. He knows anxiety because he sweated drops of blood. The whole reason he came down, and the whole reason we have a Christmas today, is because Jesus went looking for the losers – the depressed, the anxious, the lonely, the afraid, and the addicted. Some people may have more finely-decorated homes, flashier presents, and better-looking families, but everyone has Jesus on Christmas Day. Even Charlie Brown. Thanksgiving is a wonderful time of the year in the United States. It’s a time when families come together for no other reason than to acknowledge their blessings, spend time with each other, and eat until their hearts are content. It’s a day when everyone is encouraged to take stock of the good things in their lives and see how those are what really matter. It is a lead-in to the most joyous of holidays, which extends beyond the borders of the U.S. and reaches in to the entire world – Christmas. The holidays can indeed foster times of great joy and happiness. Unfortunately, they can also prove to be mental quicksand for those dealing with feelings of depression. As with many topics related to depression, it can be difficult to explain why the holidays can be so difficult to navigate without venturing into self-pity. “Oh, how can they continue to play all this happy music and talk about all these wonderful things when I’m so sad? Can’t they see what I’m going through?” What many people with depression don’t realize is how self-centered the disease can make them. They become blind to how selfish they’ve become. 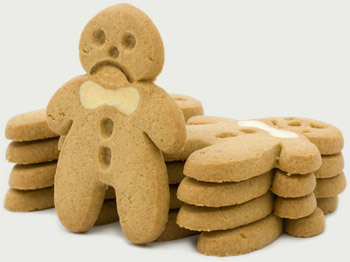 For those who are self-aware, though, depression around the holidays becomes a double whammy. The person knows they are not being grateful enough. They also know how selfish they are for feeling the way they do. As a result, they not only feel depression, but they also are hit with waves and waves of guilt. It’s a vicious cycle, and it only leads one way – down. I’m not here to offer any pat answers about how to not be depressed around the holidays. In fact, I would greatly appreciate if everyone reading this could share your tips about how you manage to cope with the holiday blues. 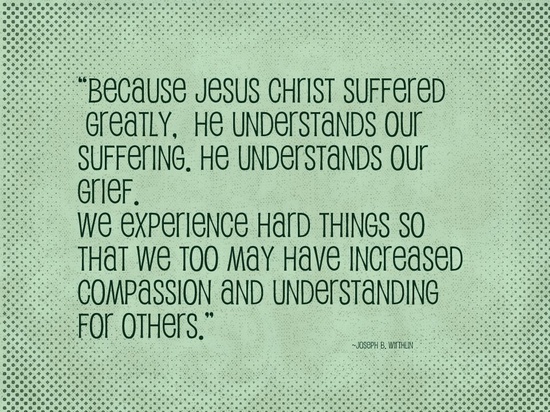 All I am trying to do is encourage understanding among those who have never had an un-thankful Thanksgiving or a not-so-merry Christmas for those who are having a hard time getting it together this year. You might not be able to cure them, but you can at least provide a helping hand to get them through. And from me to you, if you’re someone riding a wave of depression from Thanksgiving on the way towards Christmas, hang in there. Better days can be ahead for you. In fact, you could be in a better day right now and just not know it. If you can’t feel it, though, don’t stack layers of guilt upon yourself. You’re not the first person to be where you are, and you’re not going to get it right all the time. It may not be the most wonderful time of the year, but it doesn’t have to be the most terrible either.